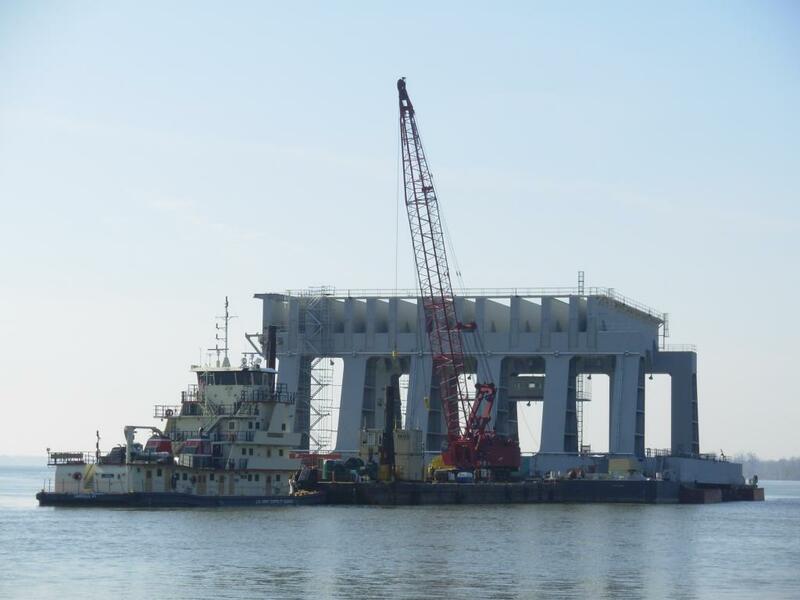 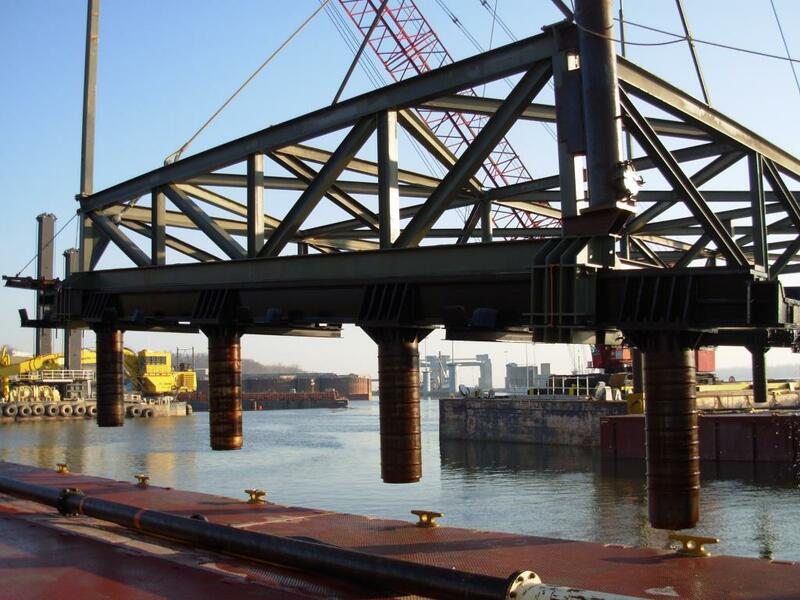 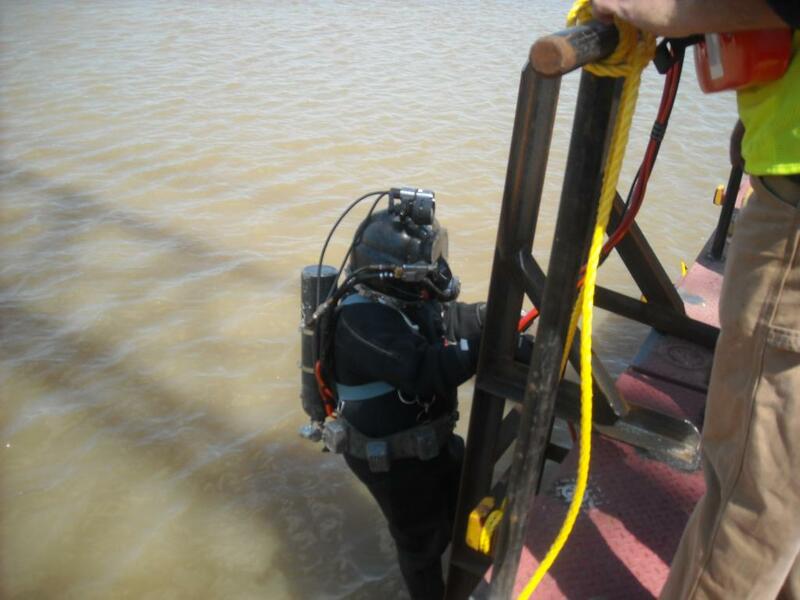 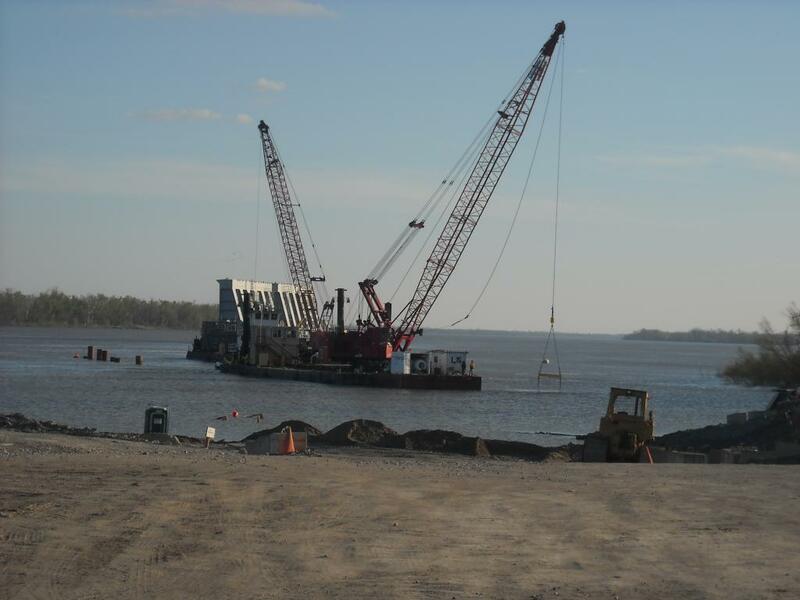 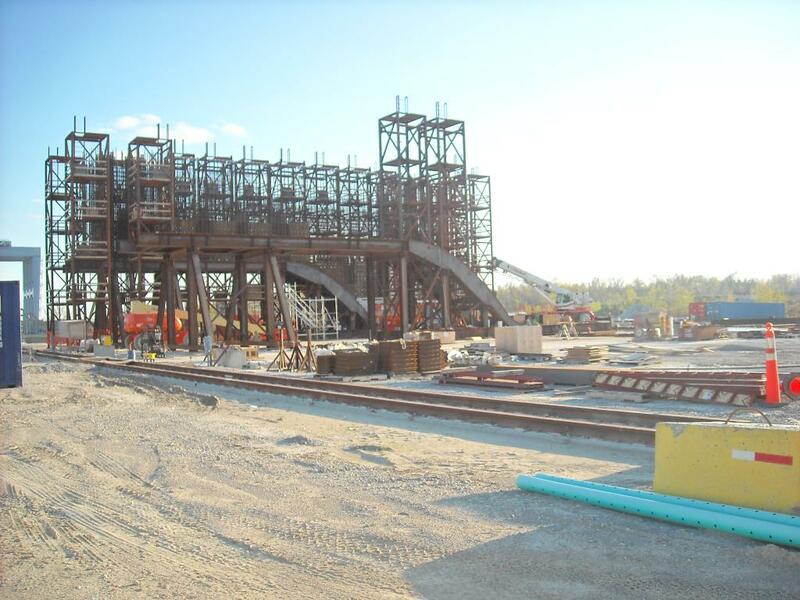 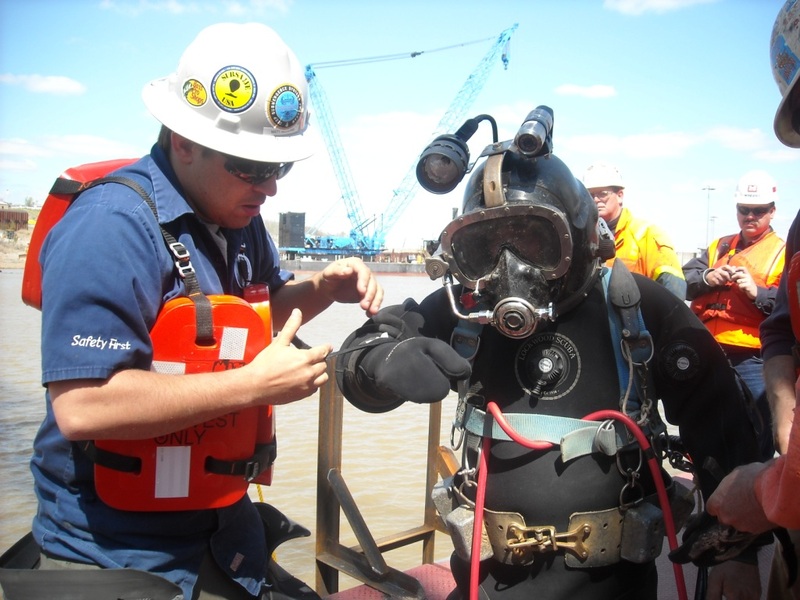 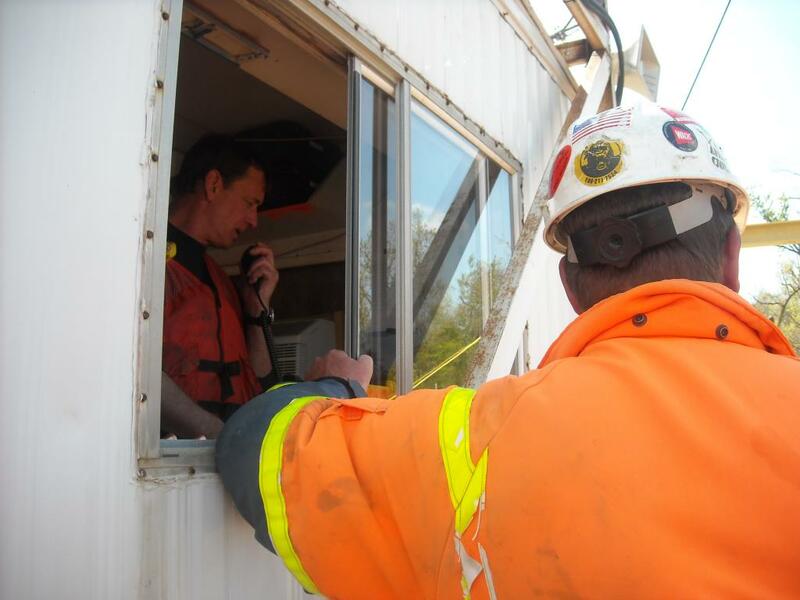 Olmsted Lock and Dam - Global Diving & Salvage, Inc.
We have been contracted by the Washington Group to provide diving and dive related services as required in the building of Olmsted Dam on the Ohio River. 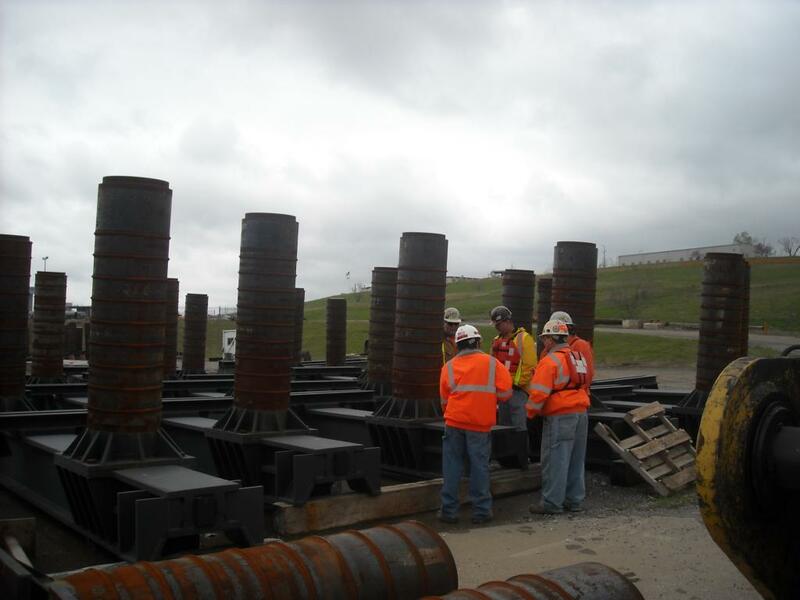 After studying various dam construction methods, the Corps of Engineers (COE) decided to use an innovative method known as “In-the-Wet” for the majority of the Olmsted Locks and Dam system. 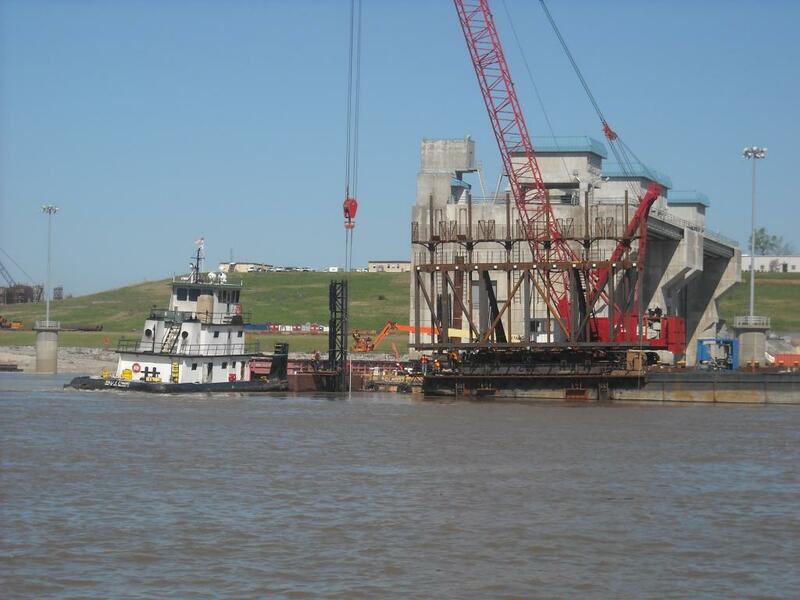 Basically, sections of the dam known as shells are prefabricated on shore in a precast yard and carried out into the river and set in place. 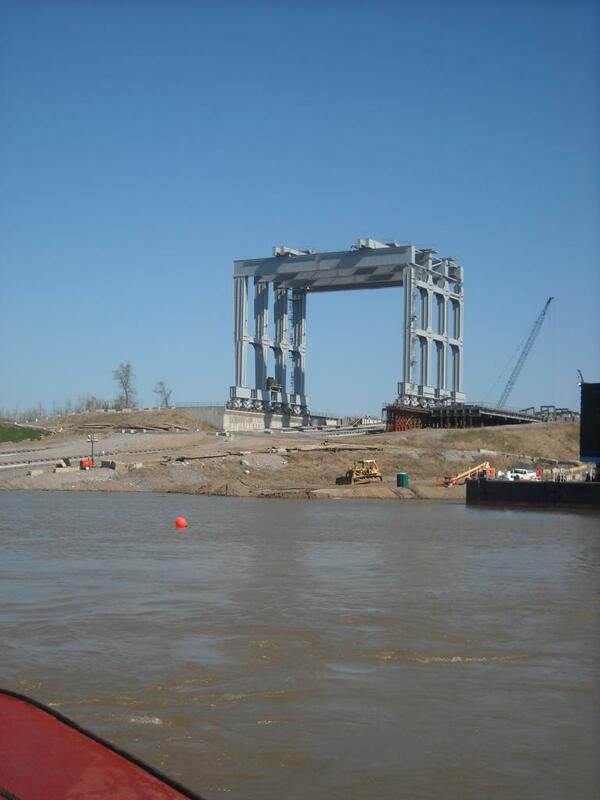 The dam consists of two primary areas; the tainter gate section and the navigable pass section.